We received about 220 applications in fiction, nonfiction, and poetry from all over the United States and abroad. Many of our best applicants came from right here in Detroit. There were a number excellent and inspiring submissions, and if we could give a home to every talented writer who applied, we would. In fact, if you’d like to help us give out two, or five, or ten houses each application round, you can do so here. Nandi Comer is the lead writer for Techno Poetics, a collaboration between Detroit music makers and writers. She has received fellowships from Indiana University, Bread Loaf Writers’ Conference, Cave Canem, Callaloo, and Virginia Center for the Creative Arts. Her poems and essays have appeared or are forthcoming in To Light a Fire: 20 Years with the InsideOut Literary Arts Project (Wayne State University Press, 2014), ADetroit Anthology (Belt Publishing, 2014), Another and Another: An Anthology From the Grind Daily Writing Series (Bull City Press, 2012), Callaloo, Crab Orchard Review, Green Mountains Review, Southern Indiana Review, and Sycamore Review. She lives and works in Detroit. 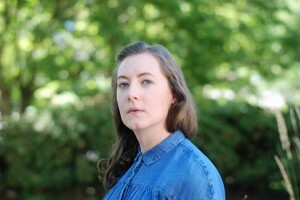 M. Sophia Newman is a writer whose work has been published in the US, UK, Bangladesh, and Japan. She writes a column on global health, Health Horizons, for Next City. She's reported on infectious disease in West Africa via a crowd-funded project forPacific Standard Magazine and on violence in South Africa and America withthe Pulitzer Center for Crisis Reporting. She received a 2014 Shannon Fellowship from Bellarmine University’s International Thomas Merton Society to report on environmentalism, and continued this work with a 2015 retreat at Collegeville Institute for Cultural and Ecumenical Studies. Prior to journalism, she completed a Critical Language Scholarship in Bangla (2011), followed by a year ofhealth researchas a Fulbright fellow in Bangladesh (2012-2013). She holds a bachelor of science in cell and molecular biology (Tulane, 2009) and a master's degree in public health from University of Illinois (2012). Sophia is a Bangla speaker who hopes to attain fluency for journalism and to translate Bangla-language literature. She has also won admission to a short program on global mental health at Harvard, and intends to complete a nonfiction book expanding on the violence prevention she explored via the Pulitzer grant.